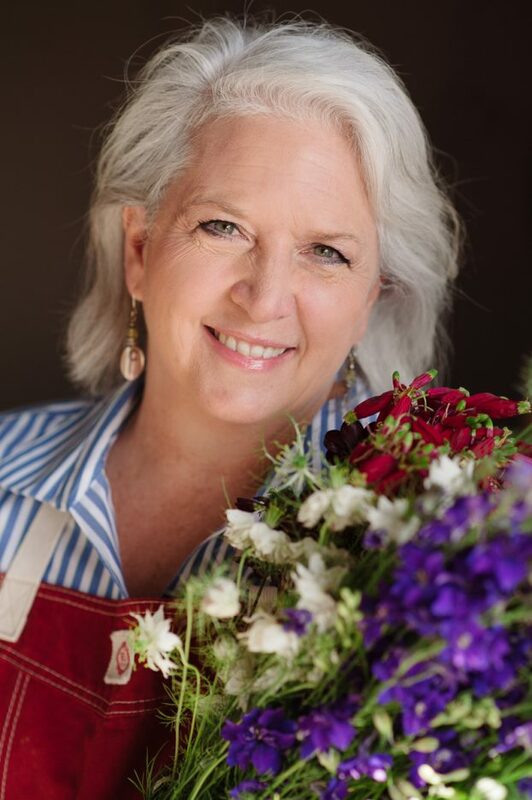 Debra is an award-winning author, speaker and leading advocate for American-grown flowers. She is the creator of Slowflowers.com, a free online directory that helps consumers find florists, designers, studios and farms that supply American grown flowers. Debra’s book Slow Flowers (St. Lynn’s Press, 2013) received a Silver Medal from Garden Writers Association in 2014. Debra is a contributing editor to Country Gardens magazine and her feature stories on architecture and design appear regularly in the Los Angeles Times’ Home section. She is a contributor to Garden Design, and her work has appeared in numerous magazines, newspapers, online publications and blogs. Debra serves on the advisory board of the American Grown Flowers Campaign, a national initiative to brand and market domestic flowers. She is the creator of American Flowers Week, launched during the July 4th week in 2015 with more than 400,000 social media impressions. Debra is also the producer and host of the Slow Flowers Podcast with Debra Prinzing, which is available for free download on iTunes or at debraprinzing.com. She is the author of 10 books, including The 50 Mile Bouquet (St. Lynn’s Press, 2012), co-created with photography David Perry, the Garden Writers Association award-winning Stylish Sheds and Elegant Hideaways: Big Ideas for Small Backyard Destinations (Clarkson Potter/Publishers, 2008), created with photographer William Wright, and The Abundant Garden, created with photographer Barbara J. Denk (Cool Springs Press, 2005). 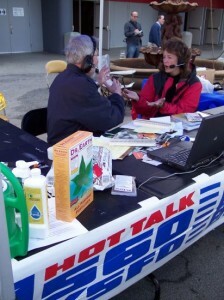 Debra was also editor of the 9th edition of the Northwest Gardeners’ Resource Directory (2002, Sasquatch Books). She wrote the Pacific Northwest Garden Survival Guide (Fulcrum Books) in 2004 and co-authored with Mary Robson the Washington & Oregon Gardener’s Guide (Cool Springs Press, 2005). She has also written three DIY titles for Sunset Publishing. Debra scouts, writes about and styles gardens, interiors and floral design projects. She is contributor to Better Homes & Gardens and her articles on interior design, architecture and gardening topics appear regularly in the Los Angeles Times. Debra’s work has also appeared in The Seattle Post-Intelligencer, The Seattle Times, San Diego Union Tribune, the Chicago Tribune, Fine Gardening, Garden Design, Women’s Day, Country Gardens, Victorian Homes, Cottages & Bungalows, Seattle Homes & Lifestyles, Seattle Magazine, NW Home + Garden, Northwest Garden News and Sunset magazines. Thanks to my friends at Emery’s Garden, I finally got to see my name on a “marquee”!!! She has lectured on gardening topics for major flower and garden shows in Seattle, Chicago, Philadelphia, San Francisco, Los Angeles, San Francisco and Atlanta. Garden clubs interested in having Debra present a guest lecture can check out some of Debra’s most popular lecture topics on the Lectures page. Debra has also appeared as a guest designer on HGTV’s “Outer Spaces” with Susie Coelho. A Master Gardener, Debra has studied landscape horticulture and design at South Seattle Community College. Debra is current president of Garden Writers Association and a member of the Association of Specialty Cut Flower Growers. Her avid “helpers” in her Seattle garden efforts are sons Benjamin (23) and Alexander (19), who love to learn botanical names for plants. Their current favorite is “Kniphofia.” Her husband, Bruce Brooks, pushes a mean lawnmower and can’t quite figure out how this all happened. Here is her favorite quote: “…surely, if you are privileged to own a plot of earth, it is your duty, both to God and man, to make it beautiful.” — Beverley Nichols, 20th century English writer.